ONA’s Political Action Committees have endorsed these pro-nursing candidates based on a variety of factors including, voting record, support for nurse issues and overall alignment with ONA values and priorities. Listed below are the candidates that have been endorsed by ONA's PACs at this point. You will find the position, candidate name and a short description about why the ONA PACs chose to endorse each candidate. More endorsements will be posted as they are determined by the PACs. Click here to find out who represents you in Salem. Governor Brown has been serving as Oregon’s Governor since February of 2015 where she has successfully helped pass, Oregon’s Nurses Week, the Cover All Kids bill to ensure that every Oregon child can access health care, Paid Sick Days legislation and Oregon’s “motor voter” bill to register 300,000 Oregonians to vote using their license information. 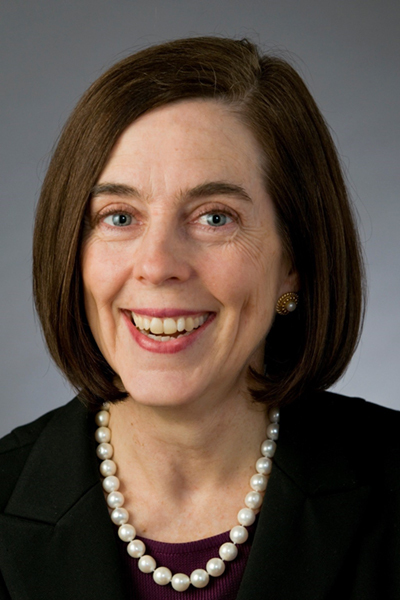 Prior to running for public office, Brown practiced family and juvenile law, served for 17 years in the state legislature and for seven years as Oregon’s Secretary of State. Congresswoman Suzanne Bonamicci has served in Washington DC since her special election in 2012, and was most recently reelected again in 2016. In Congress, Bonamicci has been an advocate for nursing issues such as safe staffing, increase access to mental and oral health care, and investing in research institutions such as the National Institutes of Health. Prior to serving in Congress, Congresswoman Bonamicci practiced law, specializing in representing small businesses, and served in the state legislature for six years. ONA is pleased that our national labor affiliate, the American Federation of Teachers (AFT) has endorsed Jamie McLeod-Skinner. Jamie formerly served as a reconstruction and water program manager for the International Rescue Committee in Bosnia and Kosovo and as an environmental planner in local government where she was also an active union member. She has formerly served in local elected government and has degrees in engineering, planning and law. Oregon Congressional District 2 is currently held by Congressman Greg Walden who has repeatedly led the effort to dismantle the Affordable Care Act in Washington D.C.
Rachel Prusak, MSN, APRN, FNP-C is an ONA member and Board Certified Registered Nurse, who has cared for people and has worked on the front lines of healthcare. In addition to providing care in Oregon, Rachel has provided emergency care in places like Louisiana after Hurricane Katrina, has worked in rural communities across the country to ensure access to primary and preventative services, and has helped Senior Citizens and disabled Oregonians stay in their homes so that they may live their healthiest lives. 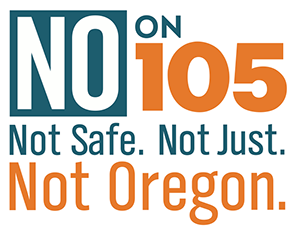 Rachel formerly served on ONA’s PAC board where she brought her expertise and advocacy to Salem, testifying in front of the legislature and rallying around issues ranging from corporate transparency to safe nurse staffing. Marty Wilde currently works as Executive Director of the Lane County Medical Society and serves as a Colonel in the Oregon Air National Guard. He is an active community volunteer, serving as a member of the Eugene Police Commission and the Executive Committee of the Democratic Party of Lane County. Previously, he served as Co-Chair of the Mayor's Auditor Study Group, a member of the Eugene Budget Committee, as a Long-Term Care Ombudsman protecting the elderly, and as two-time President of the City Club of Eugene. Wilde has served for 23 years in the military, during which he served as Chief, Rule of Law in Afghanistan, helping to rebuild the Afghan justice system. 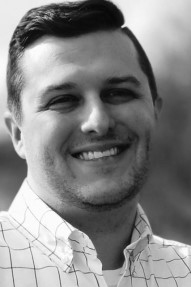 Jerred Taylor has lived in Albany for nearly a decade and has worked in the supply logistics sector for many years, with his current role being a supply chain manager. He attended Oregon State University and earned a degree in Biological Engineering. While there, Jerred chaired the Associated Students of Oregon State University and the Senate Appropriations and Budgets Committee. Today, he volunteers with the Albany Downtown Association and formerly was a volunteer firefighter with the Oakridge Fire Department. Jerred was raised in the Oregon towns of Drain and Oakridge and comes from a family of firefighters, law enforcement and manufacturing workers. Mike Ellison is an IBEW Local 280 union member as a journeyman electrician, project manager, and estimator. Mike currently serves as a Marion County Precinct Committee Person, is a member of the DPO Labor and Environmental Caucuses, and serves on the DPO Budget Committee. He also spent a year working for the U.S. House of Representatives after being appointed as a page by Congressman Peter DeFazio. While working full-time as an electrician, Mike enrolled in night and weekend classes where he completed an Associate's degree at Portland Community College, a Bachelor's degree in electrical engineering from the Oregon Institute of Technology and a Master's degree in renewable energy engineering. Danny Jaffer retired from the Navy in 2010 after nearly 25 years of service, including five years spent in the Air Force Reserve. Danny currently serves as President of the Luckiamute Domestic Water Cooperative. Danny also served as legislative assistant to State Senator Cliff Trow and as an intern for the Oregon Senate Minority Leader’s Office. Danny completed U.S. Naval Aviation Officer Candidate School in Pensacola, Florida, earned his undergraduate degree from Oregon State University and his JD from University of Oregon Law school. Tiffiny Mitchell works for the Oregon Department of Human Services as a case management coordinator in child welfare where she is active with her union, the Service Employee International Union. Prior, she worked in Utah for the state unemployment division. She lives in Astoria with her husband, who is an electrician and member of IBEW. Tiffiny earned her Bachelor’s degree from the University of Utah and her Masters of Business Administration from Western Governors University. Anna Williams works for Simmons College, headquartered in Massachusetts, teaching online courses, providing academic advising, and managing a support group for Military Involved students who are pursuing a Master's degree in Social Work. She was formerly the Program Coordinator for the Providence Volunteers in Action in Hood River where she focused on safety for women and children, senior services, health care, and building effective partnerships with law enforcement, courts, schools, and public health. She earned her bachelor’s degree in Psychology and master’s degree in social work for the University of Kansas. Charles Gallia was a Senior Policy Advisor for Research and Evaluation at the Oregon Health Authority, where he’s worked for the past 17 years. Charles is co-founder of the Oregon Pediatric Improvement Partnership, working with private and public health clinics to coordinate and share information to provide better patient care. He also currently serves on the Clackamas County Parks Advisory Board and Economic Development Commission. He earned his Bachelor’s Degree in Political Science, a Middle East Studies Specialist Certificate, as well as a PhD in Public Administration and Policy, from Portland State University. Shemia Fagan is an employment lawyer, focusing her legal practice on employment challenges working parents face like pregnancy discrimination, medical leave, sick leave, pay equity, and sexual harassment. She is also a former State Representative where she served two terms representing SE Portland and Happy Valley. In her time at the legislature, she championed sidewalk and safety improvements. Fagan grew up in Eastern Oregon before earning her bachelor’s degree from Northwest Nazarene University in Idaho before earning her JD from Lewis and Clark law school. 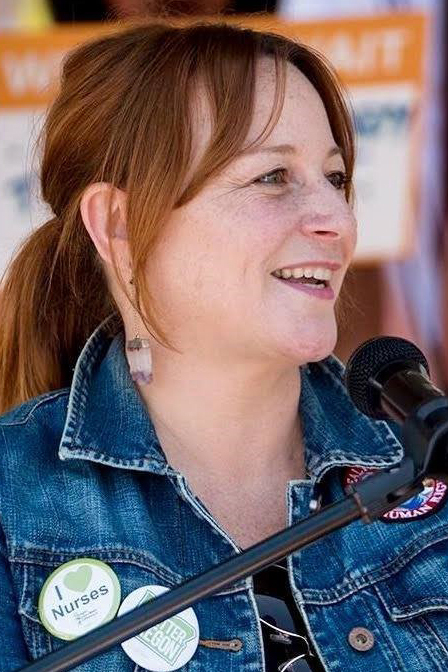 Chrissy Reitz is a former Neonatal Intensive Care nurse and currently serves as a Hood River School Board member, where she has championed policies to help address funding to hire teachers and start Career and Technical Education. Chrissy earned a Bachelor of Arts in Biology from the University of Colorado in Boulder and a Bachelor of Science in Nursing at the University of Kansas School of Nursing. Following the 2017-18 Legislative Sessions, ON-PAC selected the following legislators to receive Friends of Nursing Awards in recognition of their outstanding leadership and support for ONA’s legislative agenda. These awards honor legislator commitment to improving nursing practice, patient care and public health outcomes and come with an endorsement for each of their campaigns for re-election. ONA Hall of Fame: Senator Richard Devlin – SD 19 (Lake Oswego) Retired from the legislature after the 2017 session.